This is the sixth creation featured at The Block. A new fan-made creation is now featured at Fortnite: Battle Royale’s The Block. Developer Epic Games announced that the Omega Pyramid, by Directingpete, is available at The Block north of Wailing Woods. The company announced it today along with the v7.20 Content Update that’s just been published. Omega Pyramid might be around for a week or so, just like previous Fortnite Creative areas built by players that Epic has added to The Block. Related: All codes for previous fan-made creations featured at Fortnite’s The Block. The Omega Pyramid was leaked last week after the 7.20 update. Players weren’t sure whether it would be the next creation at The Block, but they were sure it was coming sometime soon. The Omega Pyramid has nothing in its surroundings, as its base covers all the ground it stands on. When players go inside it, they find a smaller pyramid that’s being protected by the outter structure. There are several metal corridors on each of the many floors, which have chests on them. When players go inside the inner pyramid, they find corridors filled with glowing lights that might be confusing at first. There are lit-up screens mixed with mysterious glowing cubes that are spread inside it, and players will only find it after going through a corridor that has its floor and walls covered with colorful lights. r/FortniteCreative – I really wanted to see a pyramid appear in season 6 so here it is! 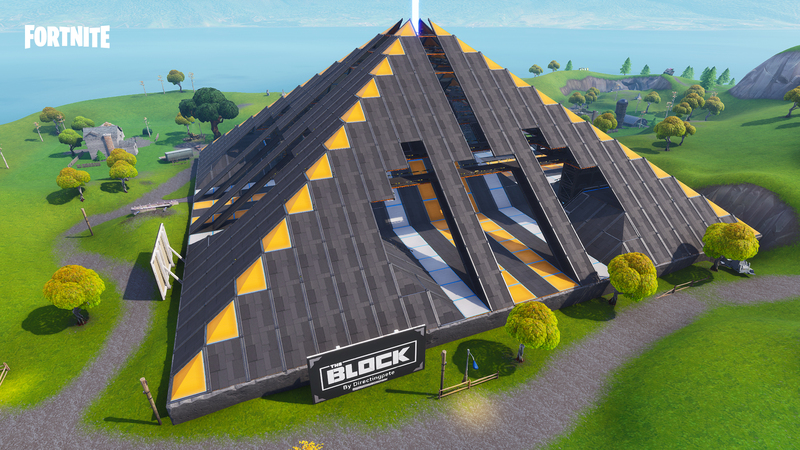 My #fortniteblockparty submission, Omega Pyramid! r/FortniteCreative: The developer supported, community run subreddit dedicated to the Fortnite: Creative game mode by Epic Games. The Omega Pyramid structure seems to be hiding something. While its exterior made of metal seems to protect what’s inside of it, the inner structure seems to be made to deceive players with too much light in its corridors. Players can jump into the Omega Pyramid right now in Fortnite: Battle Royale or take a free tour inside it in Creative using the code 9587-1059-8765.